One of the most popular ultras in the world will take you to a six-day trip through the Sahara in southern Morocco. The race’s total distance is roughly 150 miles, changing slightly year after year, as the route changes. Participants must endure extreme heat over 100 degrees, running on sand while carrying their own food, water, clothes and first aid. 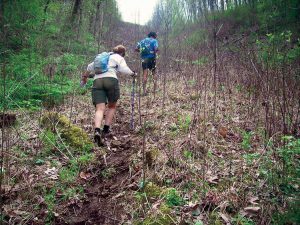 This notoriously difficult ultramarathon takes place on the unmarked route through Tennessee’s steep, overgrown Frozen Head State Park with elevation of 60,000 feet! Only 20 runners have finished the race that has been going on for 30 years. 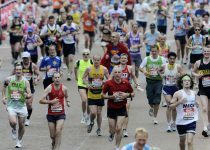 It requires runners to complete five loops of 20 miles in under 60 hours. There is another twist: you have to find books hidden in the woods, or it doesn’t count. 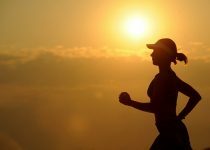 This race is most well-known for its 135 exhausting miles including a non-stop run through Death Valley in July, when average temperatures reach above 110 degrees. From its origin at Badwater Basin in Death Valley to its end on Mount Whitney, the course covers three mountain ranges for 13 000 feet of elevation. Only 11 people finished this ultra, taking place at punishing temperatures of Canada’s Yukon territory. It is tough, cold and windy. The name comes from the latitude of 66 degrees and 33 minutes, where racers cross the Arctic circle, 23 miles in the race. 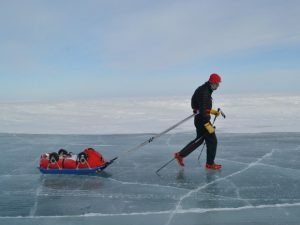 From there, they keep on going for 120 miles or 350 miles to the Arctic Ocean, dragging their gear on sleds, fighting sub-zero temperatures along the way. 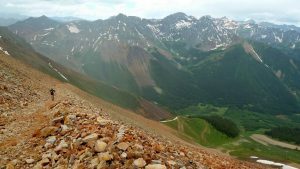 The runners have forty-eight hours to complete 100.5 tough miles along the San Juan Mountains in Colorado. The race has been held each July since 1992. What makes Hardrock so hard is the harsh, rocky terrain and 33,992 feet of ascent and descent. Most runners have to run through the night at temperatures that can drop below freezing. The toughest 5-day mountain race in the world takes place between the Conwy Castle and Carreg Cennen Castle in Wales. 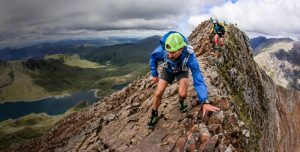 This 180-miler across the wild, mountainous terrain, has accumulated climbing almost twice the height of Everest, with 15,500 metres of ascent. The course is unmarked, so runners must navigate their way around in wind and rain, running in teams across mountain ridges. Cut-offs are very strict, and if you miss one, you are out.